NBC News reports: “Senate Republicans voted to silence the Democrats’ Elizabeth Warren after she read from a letter by the widow of Martin Luther King that criticized the civil rights record of Trump’s nominee for attorney general, Jeff Sessions. “The debate on the confirmation of Sen. Sessions came to a screeching but temporary halt Tuesday night when Majority Leader Mitch McConnell, R-Kentucky, objected to a speech that the Massachusetts Democrat was giving. “Warren quoted from a letter that Coretta Scott King wrote in opposition to Sessions, a Alabama Republican, during his attempted confirmation for a federal judgeship 30 years ago. The New York Times reports: “Capping a strikingly contentious confirmation process, the Senate is expected to vote as soon as Wednesday evening on the nomination of Senator Jeff Sessions of Alabama to be attorney general.” See accuracy.org/calendar for upcoming events. Hagler is senior pastor at the Plymouth Congregational United Church of Christ in Washington, D.C. and chairperson of Faith Strategies. 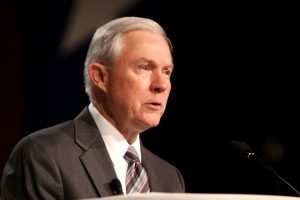 He has been an leading opponent of many of Trump’s policies, including his nomination of Sessions for attorney general.